Check and test your pressure washer before use to ensure proper function. Before using the pressure washer, always refer to the User Manual for specifics as the operating and maintenance procedures would vary depending on the kind of pressure washer that you will use. Take the time to examine your equipment and its accessories before use to avoid performance problems. 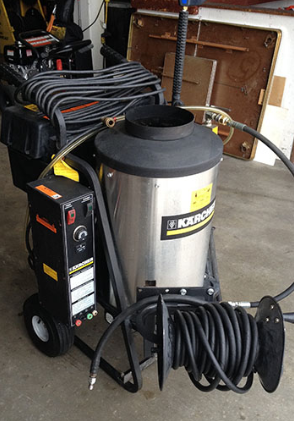 Know if it is a gasoline- or electric-powered pressure washer. Gasoline models require the regular checking of oil and fuel levels to avoid overfilling. Electric pressure washers, on the other hand, require handling and operating in a dry spot off the ground to ensure safety against electrical hazards. Check and test the following: inline screen (if available), spray gun, wand extension, spray tip, and trigger lock, and ensure secure hose connections and the detergent siphoning tube including the system filter, if available. After each cleaning project, rinse the detergent from the pressure washer. Relieve pressure in the machine by turning it off or unplugging it, and removing the water supply. Engage the trigger lock and let the pressure washer cool down. Disconnect the garden hose, spray gun, wand extension, and high-pressure hose, then completely drain the water before pulling the recoil handle about six times (for a gasoline-powered model) or turn the unit on until the water exits the pump (for an electric model), and then turn it off immediately. To ensure the long-term use of your pressure washer, proper storage is the key. Take time to know some general maintenance tips to prolong the use of your equipment from the product manual. Some examples are keeping it in a dry area to protect it from weather extremes, or applying pump lubricant to shield it from freezing during winter. You should also cover it with a material that does not hold in moisture before keeping it in storage. Don’t hesitate to get in touch with Colorado Springs pressure washer experts to help you with your concerns. You can find your reliable Colorado pressure washer service and repair, pre- scheduled maintenance, pressure washer rental companies in Colorado Springs, commercial pressure washing Colorado Springs company and more with PSI Systems Inc. PSI Colorado Springs is the one-stop shop for pressure washers since 1985. 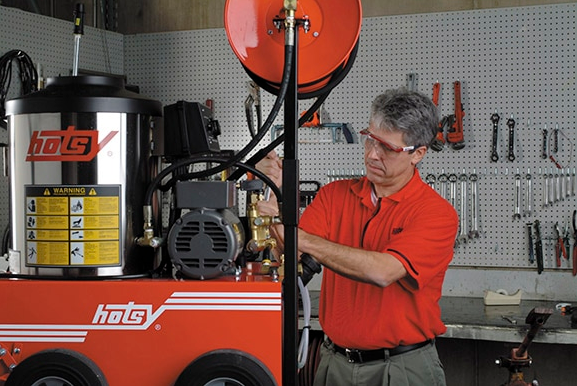 We are an authorized dealer for various brands of pressure washers, parts, water treatment systems, and waste oil heaters and more! Speak to our Colorado Springs experts by calling any of these numbers (719) 636-3388 or 1-800-660-3386. One c(https://cleanenergyheatingsystems.com/wind-clean-energy-waste-oil-furnace-heating-season/)all does it all! Also visit our website https://psisystemsinc.com/ for more details!